In Auckland and even my Cities Skylines cities there is a tendency to struggle with building complete local neighbourhoods. That is neighbourhoods where the residents apart from work and maybe a day out in the rural environment or town (say a sports or cultural event) the rest of their requirements are fulfilled locally. I am going to set the definition of ‘local’ to give a better Urban Geographic context for both Auckland and Cities Skylines. Local: Easiest way to do this one is Local Board areas for Auckland and individual Districts in Cities Skylines. Note: with Cities Skylines Districts can include pure industrial complexes (no residential in them) and soon Park districts (when the Park Life DLC lands on the 26th) that would otherwise have regional catchments. I’m interested in creating livable, walkable, human-scale cities, and one of the most important elements to creating a livable city is the development pattern of your local neighborhood. We talk about car dependency being bad and limiting our freedom, but what does ‘transportation freedom’ look like? Waiting for a bus every time you leave home? Not so much. I believe that the most free mode of transportation is one that doesn’t require any vehicle to get around — thus, our largest gains with building livable, human-scale cities come from building foot-oriented neighborhoods. Any talk of reducing car dependency is often followed by a conversation about “transit-oriented development” or other ways of inducing transit usage. It’s easy to induce transit usage — put all of your residential housing on top of one set of subway stations, and everything else on top of another set. Then space everything out so you can’t walk between everything. Your trains will be crowded and ridership will skyrocket! But, that isn’t very livable nor is it much better than being car dependent; it leaves you dependent on trains and billions of dollars to get around, only to find out you need to send a billion more to keep up with demand. Sounds like Le Corbusier’s City of Tomorrow. Cities are divided into neighborhoods, and if you’ve ever spent time living in a walkable city without a car, you know that your quality of life is largely dependent on the amenities within your neighborhood — the walkshed of your home.A good neighborhood will have enough variety of restaurants to keep you satisfied, along with schools, parks, grocery stores, walk-in clinics, entertainment, etc. If you were fortunate enough to work from or close to home, it’s the sort of neighborhood you could go months without leaving and not feel like you’re missing out on anything.What I’m describing here is what I like to call a Complete Neighborhood. 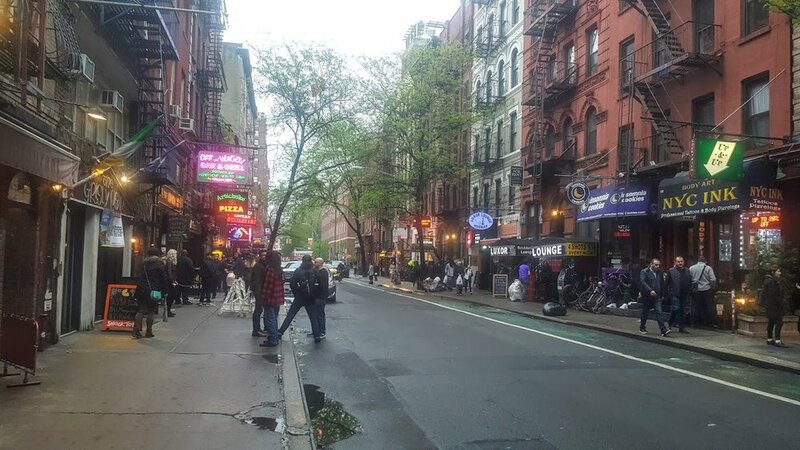 A good neighborhood will also offer entertainment options (a bar with live music, a movie theater, a dance club, a comedy club — whatever your scene is) where you don’t have to worry about a curfew imposed by the transit system shutting down or Uber surge-charging you during the wee hours of the morning. This isn’t to say you will never leave your neighborhood; you may commute a long distance to work, you may want to explore other areas of the city, spend the day out shopping, have a night out on the town, visit friends who live in other neighborhoods, etc. Essentially what the article is going on about is that most of our activities should be able to be done within easy distance of a Town Centre at best and if you do need to travel a sub-regional Metropolitan Centre “at worst” via transit. A Node signalling that this Metropolitan Centre would have regional and in Manukau’s case inter-regional catchments applying. But I am digressing a bit here. 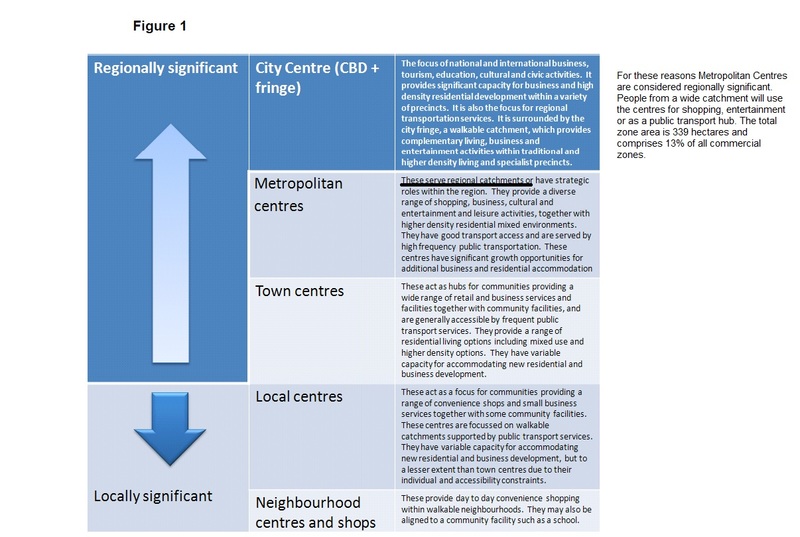 So the Auckland and Unitary Plans spell out how our Centres are meant to work and for everything in play (especially as the Nodes will mature through time) we ask why are we not getting more Complete Neighbourhoods that would boost local communities, their Centres and lessen congestion. Local Boards are not funded properly to upkeep and renew the Local and Town Centres (also a case of if they have a Metropolitan Centre given the bulk of such a Centre they would overwhelm the Local Board’s meagre resources for upkeep and renewal. No offence to Manurewa and Otara-Papatoetoe Local Boards but Manukau is simply too big for Local Boards to take on their own without help from Council or even Central Government). Planning is still too centralised with resources focused at the City Centre (including based) and still too mono-centric even with the rise of the Nodes. Local Boards are required to create Local Board Plans and Local Boards will focus on their Centres as wanting to renew them and bring them into the 21st Century. 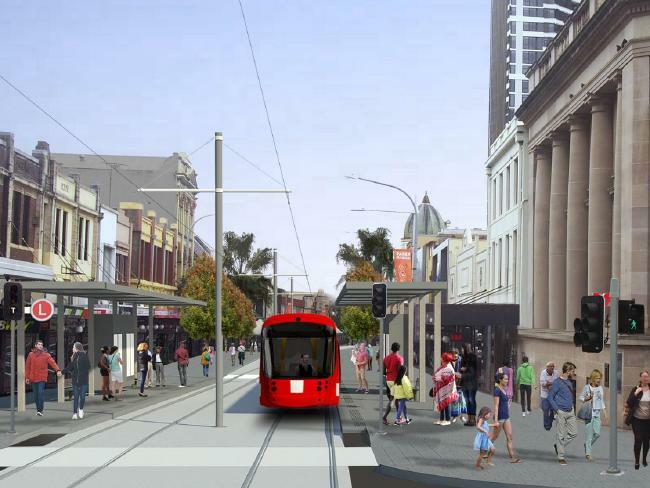 The problem is lack of funding and power to execute these plans as the power resides and is at the “pleasure” of the Governing Body of Auckland Council. Local Boards need to be bulk funded and have better powers to bring in Targeted Rates so that they can truly renew their Centres and create links to their residential areas. Papakura Metropolitan Centre is a 12 minute walk from where I live but the area needs serious attention if I want it to be a Complete Neighbourhood and keep my dollars there rather than Manukau which has more offerings. With Cities Skylines I don’t have Local Boards within my many Districts inside the City but I can still work on creating Complete Neighbourhoods. Outside of the often twin City Centres and “Downtown” (the primary Core I will always run with a City Centre (residential and Office) and a Downtown (residential and commercial/tourism/leisure)) each District that has residential in it will have enough Light Commercial zoned land to allow that respective District to be near self-sufficient. By that I mean enough commercial services, office and medical centres (that I place down) within said District that you can do around 90% of your activities within that area – i.e close to home. All Districts have local transit and active mode infrastructure set within them allowing most of the Cims to walk, cycle or catch transit to their local destination. Leisure and Tourist Districts (those outside of a City Centre) are spread around the City as well, meaning it would be the equivalent of me going from Papakura to Manukau by transit to get to more major entertainment and hospitality locations. Again these Districts are served by transit and cycle-highways. At full Regional level the Metro system (subway, heavy rail, Bus Rapid Transit, Light Rail or Monorail) is available to move Cims around. When Park Life comes out it will be interesting to see how the dynamics change as I can do larger scale parks, amusement parks and entertainment areas. In the end I am mindful when planning my Cities and trying to encourage complete neighbourhoods. It is not that easy when your City is one giant sprawl although cross-city commuting is mitigated by the twin City Centre approach I often take. With San Layton City I am going to try the Island approach where you have a Core (or dual Core) area of the main urban form that is connected by road, rail and transit to local “islands” with Greenbelt in between. With Park Life coming out and me getting use to using monorail to connect the urban islands (leaving heavy rail from trans-city passenger and freight running, and light rail for intra-island running) trying this new method that both maximises Green Utility and allows for Complete Neighbourhoods will be an interesting Urban Geography experiment. I must not get my industrial complexes though as they will always attract large pools of workers and the congestion that goes with it . Auckland needs to do better in planning our Metropolitan Centres and allowing for Complete Neighbourhoods. South Auckland will be the closest too it (although at sub regional level) given 50% of the South’s residents commute within the South already and most can have their recreational and hospitality needs fulfilled with facilities already existing in the South. Mt Smart for Rugby league is easily accessible by bus or train for the South and the City Centre further it has no real attraction apart from work or Universities. As Manukau evolves and things like hotels in Manukau City Centre continue to expand (thus bring in more tourist facilities) the attraction to stay within the sub-region will be stronger. That said work needs to be done to beef up our Town Centres and Local Centres so that for basic needs we could walk or catch a feeder bus rather than having to traverse several kilometres to Manukau.